Animal testing is still a major issue in the cosmetics industry. In fact, the Human Society International estimates between 100,000 to 200,000 animals are used for cosmetic testing every year. Part of the reason the practice is still widely used in the industry has to do with the fact that most countries still allow it. And in the case of China, animal testing is required by law for foreign cosmetics companies looking to sell there. Seeing how big and lucrative that market is, many oblige, seeing it as a necessary evil for business. Thankfully, though, more and more cosmetic business, including mass-market juggernauts like CoverGirl, are using alternatives methods of trying out their products instead of animal testing. There’s also a growing movement in the beauty community of beauty enthusiasts “going cruelty-free” — that is, overhauling their makeup bags so they are only filled with items from companies that do not support animal testing. I’m totally behind this initiative. In this day and age, there’s absolutely no reason why animals should still be used just to see whether a formula is effective. And while I don’t have a completely cruelty-free makeup collection (it’s frankly really difficult to do so, since I have to try a lot of non-cruelty free brands in my work as a beauty writer), I make a point to mostly use brands that have sworn off animal testing. I also try and write about them the most. Of course, a lot of people may think that’s not enough, particularly beauty aficionados who take a purist approach to a cruelty-free lifestyle. Honestly, they can save me the sanctimonious attitude. When I see beauty gurus online berate people who still buy from brands who test on animals without acknowledging that it’s truly a privilege to lead a wholly conscious life, I can’t help but roll my eyes. In an ideal world, it would be incredible if everyone only invested in cruelty-free beauty. But as worthwhile as going cruelty-free may be, it’s just not feasible for everyone — particularly for black women like myself, or any other person of color with a medium to deep skin tones. Across the entire industry, makeup brands have only recently started becoming conscious in creating better shade offerings for their complexion offerings like foundations and concealers. Those in the the cruelty-free space are also playing catch up, so there’s not nearly enough for dark-skinned consumers to choose from as there are for their light-skinned counterparts. While the makeup landscape is changing to be more inclusive, the truth of the matter is, women like myself with brown skin and darker sometimes still find it difficult time at makeup counters to find products that not only match us but suit or needs and tastes. 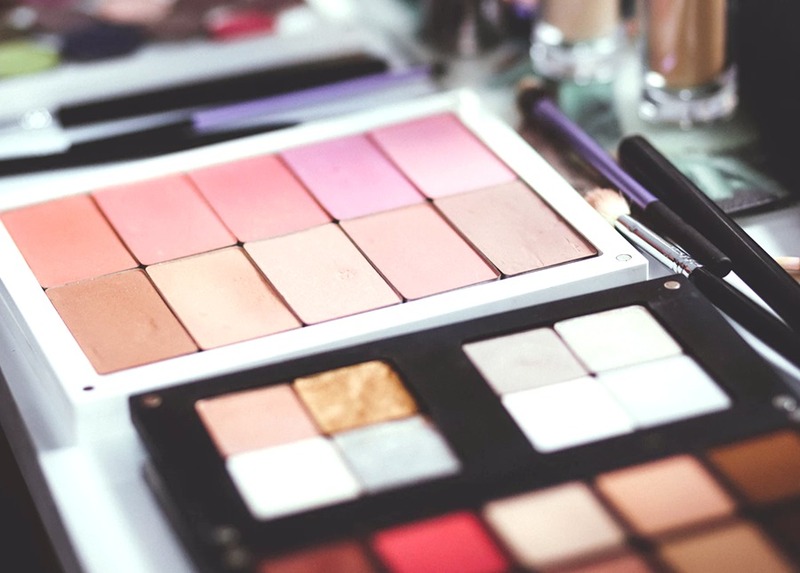 For many consumers with deep skin tones, the first thought on their mind while makeup shopping may not be whether a line is cruelty-free, but rather, “Do they have my shade?” because of the lack of options they typically have. For example, many of my fellow beauty writer friends swear by brands like Chantecaille but they do not have shades for someone who looks like, say, Lupita Nyong’o. Popular drugstore brand Physicians Formula just started diversifying their foundation offerings when they launched their The Healthy Foundation range with 15 shades this year — before, I’d struggle to find a color from them for myself. Of course, it’d be awesome if everyone was able to find their perfect foundation from a brand that doesn’t test on animals and is in their budget, but what if they don’t? Why should they be shamed after going to great lengths to find the best foundation for themselves (which, by the way, is notoriously hard to shop for no matter your skin tone) because it’s not from a cruelty-free brand? Even beyond the shade problem, there’s also the issue of accessibility. For instance, not everyone enjoys buying makeup online. Some people find it overwhelming and tricky having to decide what color of an item to get based on digital swatches, particularly for complexion products, as they have to match just right; they’d much rather see something in person and decide whether it’s worth purchasing that way. That can be a tricky task when you’re exclusively buying from cruelty-free cosmetic brands, as I’ve found that many tend to be independently owned and only sell online, or they’ll have limited stockists with minimal brick-and-mortars versus somewhere like Sephora or ULTA that has numerous locations (which, by the way, I’ve noticed are getting better in stocking inclusive cruelty-free cosmetic brands, but not nearly enough affordable ones). Until we reach a world where it’s doable for all consumers to have completely cruelty-free makeup vanities, let’s not try and look down on others who don’t. We can instead try and encourage them to make small changes with how they spend their money — whether that’s in skincare (an easier category to go cruelty-free in my experience) or buying cruelty-free whenever possible. Rather than criticizing someone for their spending, try and direct them to forward-thinking companies with sound and commendable ethics instead. On that note, here are 12 cruelty-free brands I highly recommend that carry a wide range of colors in their complexion products, for a variety of budgets. And if you’re looking for even more cruelty-free brands to support, here is a comprehensive list of them. On the upside, a 2018 report by Market Research Future predicts there will be a 6.1% growth in the cruelty-free cosmetics market between 2017 and 2023, as an increasing number of household names go cruelty-free and more cruelty-free brands are created in the first place — meaning consumers’ options are expanding. My hope is that animal testing eventually becomes a relic or really rare in the beauty industry, as more countries start banning the practice and companies start to see how unethical and unnecessary it is. This is especially possible as technology in beauty continues to advance, and different methods to assess the quality of formulas are discovered. Until then, let’s stop policing how other people shop and let them do what they can when it comes making conscious life choices that benefit our environment and the treatment of animals. Each of us can only do so much, and some of us are in a better position to do more than others. But every person’s contribution to making the beauty community as a whole a more caring place counts.